Tom, a 65-year-old retiree, reads a magazine in the waiting room of a dental office in Mexico. This is his second trip down to Mexico to finish the dental care he needs. The initial treatments have all gone well, and Tom is really happy with the treatment so far. The office is simple, not as elaborate as the dental offices he’s been to in the U.S., but the office is clean and the treatment rooms very professional. 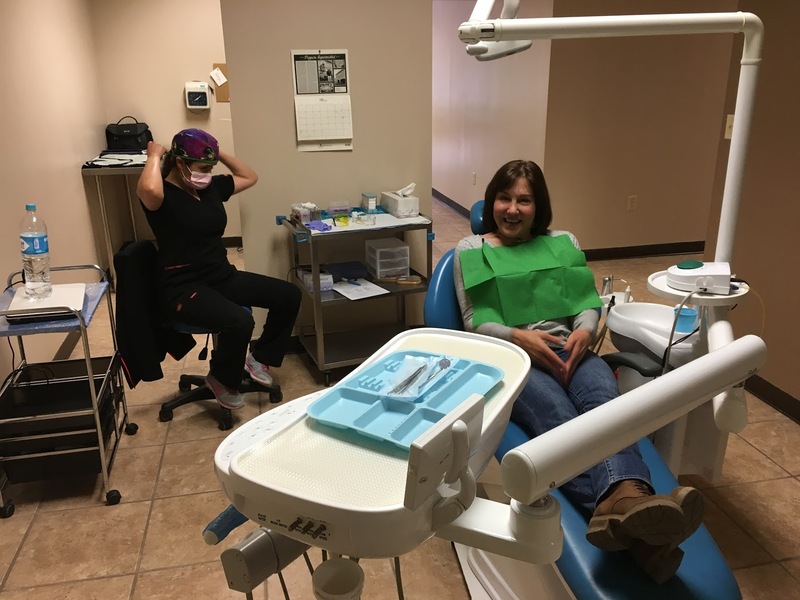 The dental staff is friendly, speaks English, and his experience in the dental chair is not unlike a typical visit to dentist’s in the U.S., except he’s in Mexico, just south of the New Mexico border. What made Tom travel to Mexico for dental care? People had mentioned getting dental care in Mexico and that they had saved as much as 80% on dental care, but Tom was nervous about it. How is the quality of the treatment? Is it safe to go to Mexico for dental care? Why is it so inexpensive to have the same dental care done in Mexico? But Tom has found what thousands of other Americans have found—good, quality care at tremendous savings. 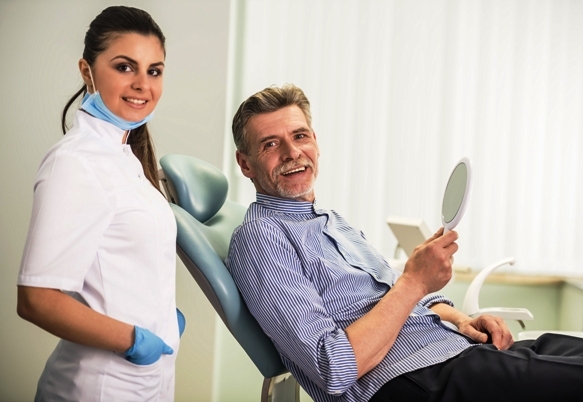 In fact, a recent survey by Families USA, a Washington-based health advocacy group, showed that 90% of people getting dental services in Mexico found their treatment to be good or excellent. That matches surveys taken about dental satisfaction in the U.S. “I had six crowns and multiple fillings that needed to be taken care of. It took a few trips down here but with the money I saved, it was well worth my time,” says Tom. The huge savings on dental care in Mexico is no reflection on the quality of service. A number of factors contribute to the reduced cost. Because of the support of the Mexican government, dental education in a public dental institution is free or subsidized. In return, the graduating dentist provides a year of free dental community service. By contrast, U.S. dentists leave school with $150,000 or more in loans to repay. 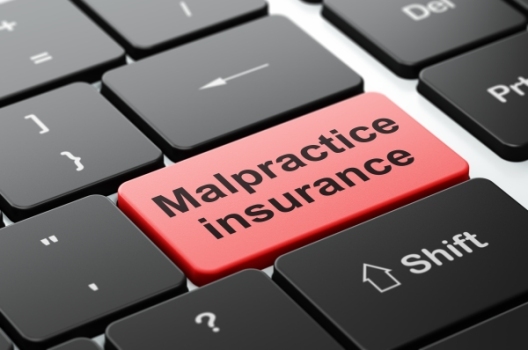 Malpractice insurance in the U.S. is not optional and very expensive. 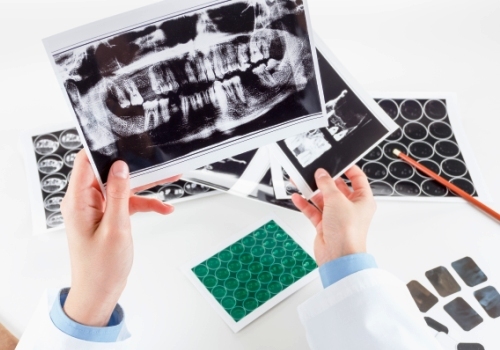 Dentists in Mexico are not required to have mandatory malpractice insurance, which is very expensive, and the society as a whole is not litigious in the way the U.S. is. In addition, both labor and real estate, including rent, are much less expensive in Mexico. The government also monitors and restricts excessive profits on medications and pharmaceutical products used in dentistry. And finally, the cost of living for dentists and their staff is considerably less expensive in Mexico. So even though the savings are significant, there is no compromise on quality. Our vetted, approved dentists are proud of their offices—they’re equipped with high-quality equipment and the follow stringent protocols for modern dentistry practice. Tom was given a full tour of the office where he met two other staff dentists, and then saw the lab where a full bridge was being fabricated. He saw how every hand tool was packaged separately in its own plastic cover prior to use, and the autoclave used to sterilize all equipment. 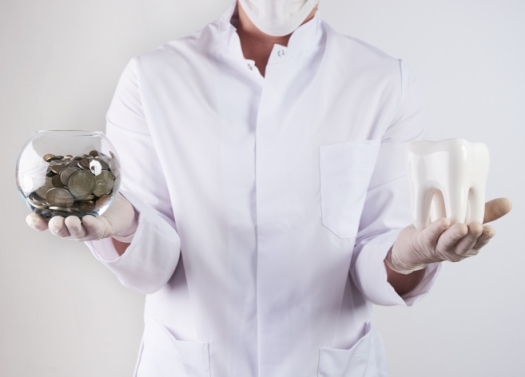 As a patient left the treatment room, he could see two technicians with cleaning supplies for cleaning every surface used in the treatment. Every year tens of thousands of people just like Tom, travel across the border to Mexico to save money on high-cost dental procedures. In border-towns along northern Mexico, offices are very accustomed to treating American patients, like Elizabeth, a 40-year old woman from Louisiana. When her dentist warned her about putting off dental care any longer, she was faced with a treatment plan that cost over $6000. When she priced the exact same work in Mexico, the price for the same procedures was $1590. Paul A. is an engineer from North Carolina. At age 65, he was fit and healthy, except that many of his crowns were breaking down. The bad news? A $22,000 proposal from his US dentist to correct the problems. Paul checked with a recommended dental clinic in Mexico and the quote was $2290—a savings of almost $20,000. I decided to use my 20 years of experience owning my own tour company to start a dental referral service. 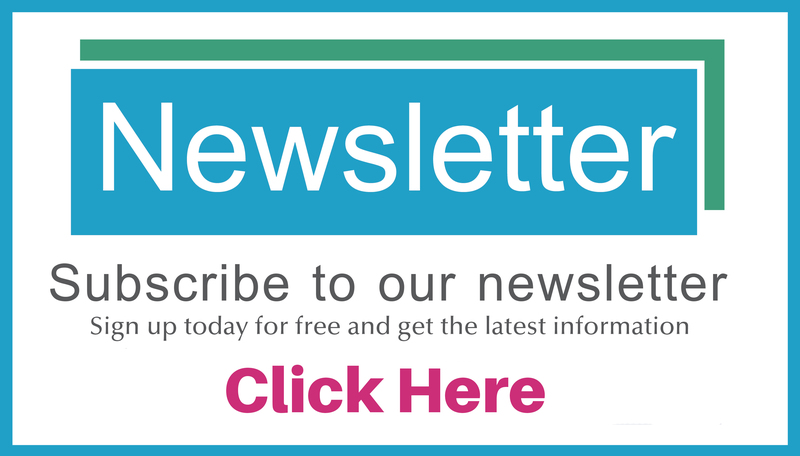 To find out more about how you can get affordable, high-quality dental care in Mexico, call us today at (505) 738-7770 or fill out our Get a Free Price Quote form.